Anatoly Yuriyovych Onoprienko is a Ukrainian serial killer that is also known as "The Beast of Ukraine", "The Terminator" and "Citizen O". He was born on July 25, 1959 in Zhytomyr, Ukrainian SSR and was sentenced to life in prison. Anatoly spent most of his life in an orphanage. He has one brother, Valentin who is thirteen years older than him. His father, Yuri Onoprienko fought in the Great Patriotic War and was greatly recognized for that. Anatoly"s mother died when he was four years old, and he was then cared for by his grandparents and aunt. He was later sent to live in the orphanage in Privitnoe village which he said made him destined to become a serial killer. He also said that 70% of orphans becomes criminals and ends up in prison as an adult. Anatoly killed his victims with rifles and all sort of other weapons. Police arrested him and found a hunting rifle and numerous other weapons which matched the ones used on some of his victims. Police also found items that belong to the victims on him. Anatoly confessed to eight murders from 1989 to 1995 and denied all other charges. He later confessed to murdering 52 innocent people in a six year time frame because he received commands from his inner voice. Anatoly followed a certain pattern in his killing spree. He first chose a house far away from other houses and created a scene to get his victims attention. He starts his killing spree with the adult male and then looks for his spouse to kill. Next he moves on to killing the children. He likes to set the house on fire to cover his track and will kill any witness that crosses his path. Anatoly first killed a family of four people in Bratkovychi and later killed another family of five people and two witnesses. He moved to another village after the police had security going around the village of Bratkovychi. Security Service of Ukraine and Public Prosecutor"s office held Yury Mozola who was 26 years old in March of 1996. He held him as a suspect for numerous inhuman murders. Mozola was tortured over a three day period with burning, electric shocking and beating from six members of the Security Service of Ukraine and Public Prosecutors. He refused to say anything and died during his torture punishment. The six members plus an additional person was sentenced to prison for Mozola"s death. Anatoly went to live with one of the family member and was thrown out of his family home after they found his weapons. He was reported, and a massive manhunt went into effect which led to him being captured seventeen days after the death of Mozola. 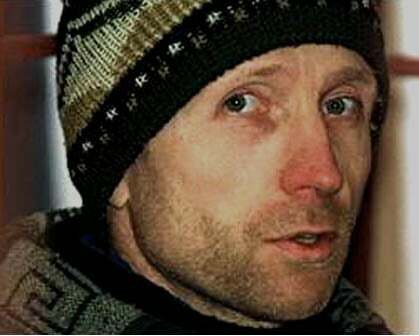 Anatoly Onoprienko serial killer is a male serial killer. The Beast Of Ukraine, The Terminator, Citizen O is a male serial killer.